CJ’s inspiration for this show came from a question someone asked her recently about prayer. People all over the world pray in a variety of ways. So prayer is very common. But why do some prayers get answered and others don’t? Listen to this show to learn more about prayer, how prayer can manifest into reality and if it really matters how and what we choose to pray for. Don’t forget about the Angel Message of the Week and Inspiring News at the start of the show. 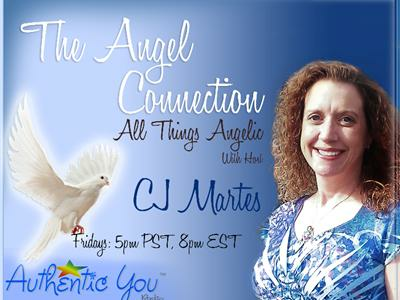 The last segment of the show is reserved first come, first serve basis for Angel Readings with CJ. If you’ve got angel or other spiritual questions, this is a show you won’t want to miss! Call toll-free during the show: 1-877-296-0345.